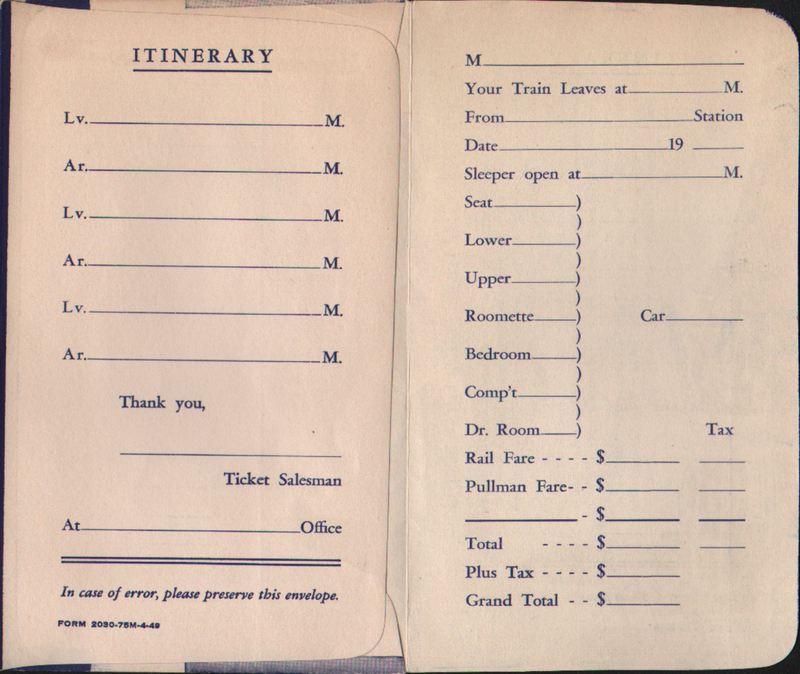 Description Erie Railroad 1949 Unused Ticket Envelope - Scenic Route of the East between New York - Buffalo - Cleveland - Chicago. 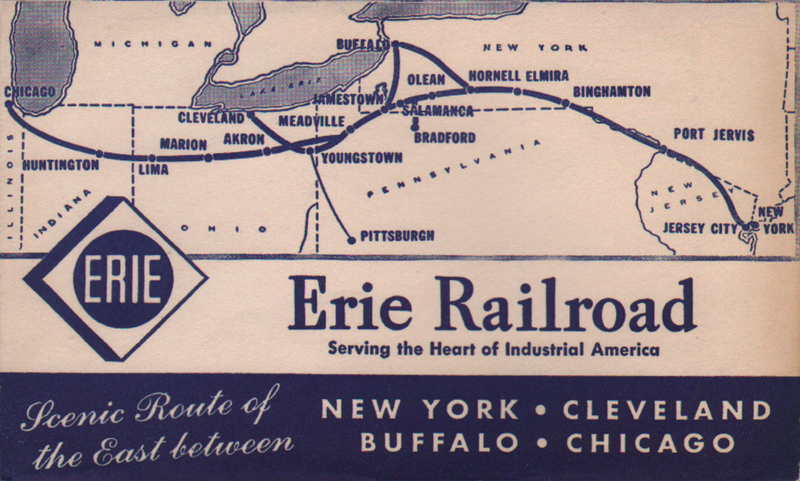 Serving the Heart of Industrial America. 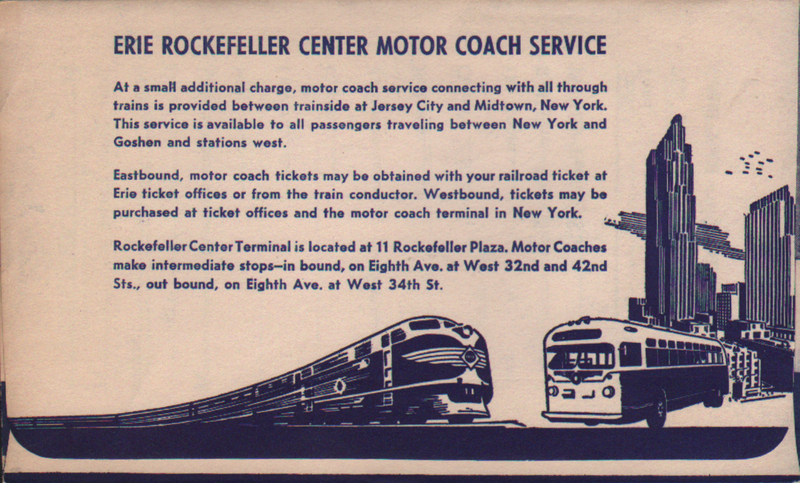 Erie Rockefeller Center Motor Coach Service description on the rear cover.